Let us begin our journey into Darjeeling with an old classic of the town. The majestic Kanchenjunga Range in the backdrop fits for a perfect skyline. 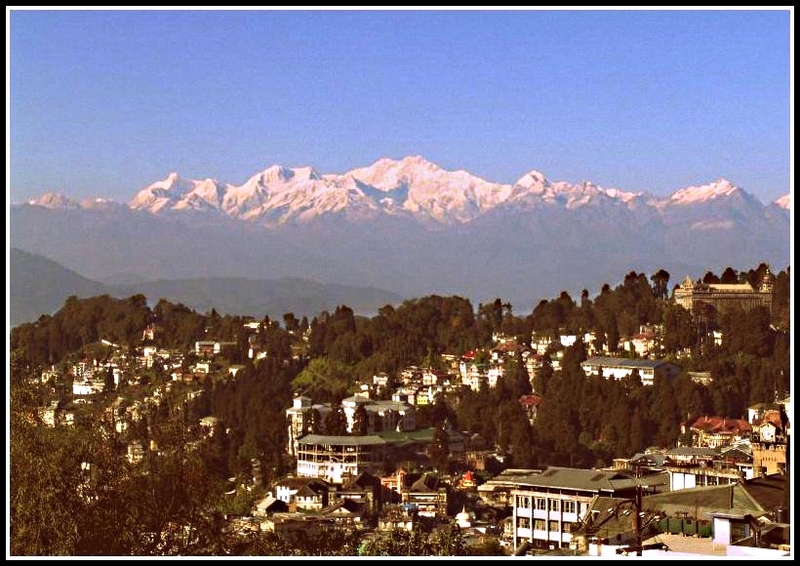 Enthralled by the beauty of Darjeeling , Swami Avedananda established two centres of the Ramkrishna Vedanta Math, one in Calcutta and one in Darjeeling. “I have taken shelter in the laps of Himalayas. Cabbages and various vegetables are abundant here”, he writes. “Fruits however, seems to be a bit elusive. Flowers are everywhere. The days are cold and the sun almost seems to play hide and seek with us”. be a common escape resort for tourists from both domestic and international destinations. It has also been a center of educational institutions with the Kings and Queens of various neighboring kingdoms sending their kins to get educated in Darjeeling. Read about this mystical place where fairies indeed did dwell , keep updated here .